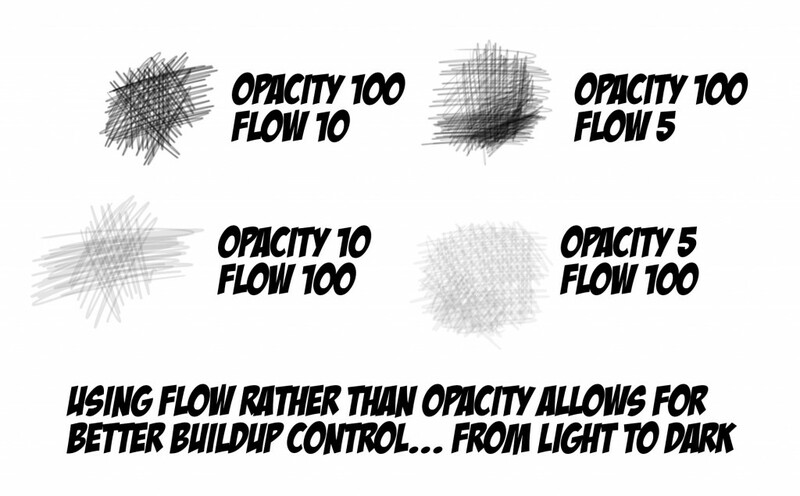 Do you know the difference between the Opacity and Flow sliders when using the paintbrush tool? Here is a quick illustration to show what is happening. Opacity sets the ceiling of darkness or opaqueness… Flow sets the speed that the color is applied. Think of Flow like dialing the amount of water coming out of a faucet. 100 per cent gives you all of the color in one shot, while lower Flow allows for lighter lines that will build up to the Opacity ceiling. Hence the last two lines in the example below show what happens when you keep building up with a Flow of only 10 per cent. 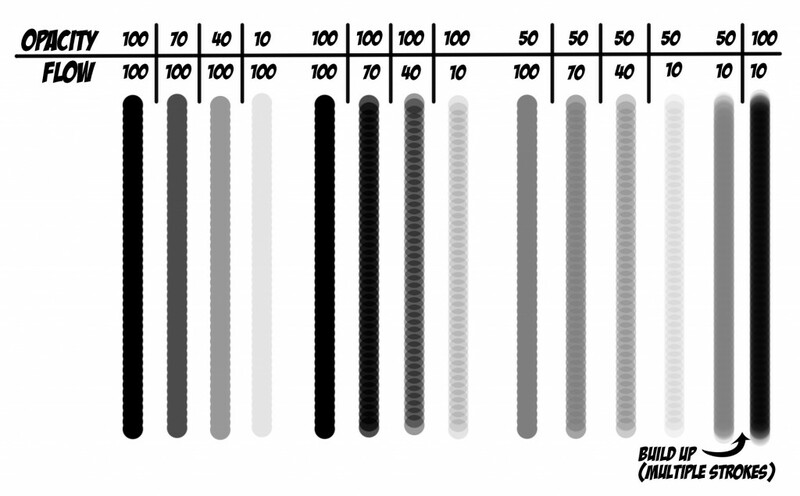 So when you want to draw light lines and then have them build up, sort of like a pencil… setting a low Flow rather than Opacity will give you better results. Once you try it, you will get it and it will be a great addition to your skill set.